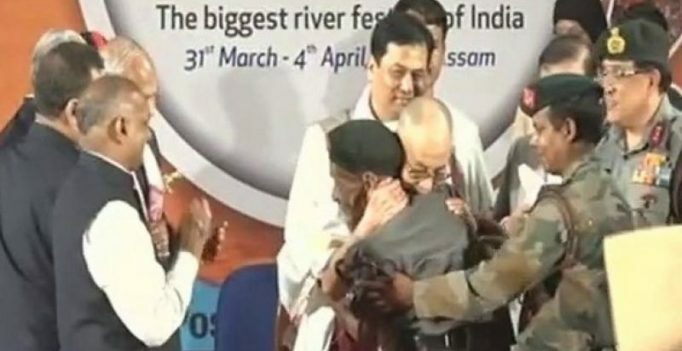 Guwahati: Tibetan spiritual leader the Dalai Lama on Sunday shared an emotional moment with retired army man of Assam Rifles who escorted him to India during his escape from Tibet in March 1959. A visibly emotional Dalai Lama had a nostalgic moment with Naren Chandra Das at Pragjyoti ITA Cultural Centre at Machkhowa here. He fell silent, saluted Das, held him tight and wiped tears away from his eyes. Das was part of the team which escorted the Tibetan spiritual leader safely into India on March 31, 1959. “I am extremely happy to meet this old man who had escorted me in March 1959. This was about 58 years back. You must have been retired now. Looking at your face, I am now feeling that I have also grown very old,” the Dalai Lama said. Das is the last known survivor of the group of five Indian army personnel which escorted the Dalai Lama to Indian soil, 58 years ago after the Chinese crackdown. Seventy-nine years old Das went down memory lane to recount how he and his colleagues led by their section commander were ordered to move to the international border to receive ‘a special guest’ and bring him to India safely. 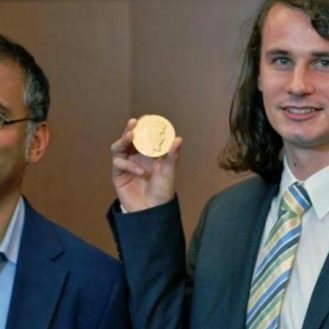 Das was around 20 years old when he met the Dalai Lama, who was 23 years old at that time, on the McMohan line that marks India’s northern border.